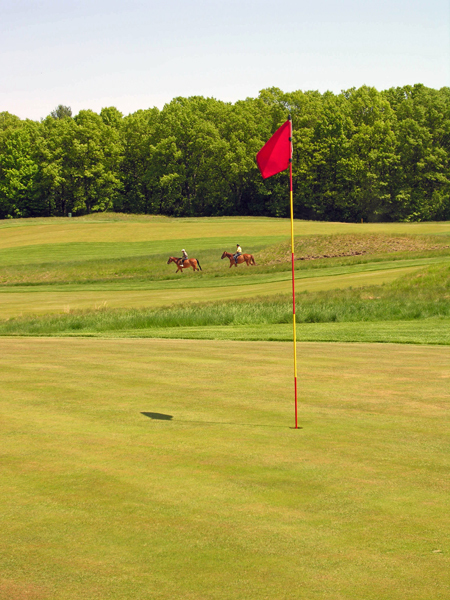 Myopia represents the transition from Natural or Pasture Golf into the formally designed courses of the Landmark Period. The club was founded in 1875 in Winchester as an equestrian and sporting club. In 1896, three years after moving to its present location, Herbert Leeds joined the club and won their first club championship. Having been appointed to the Golf Committee, he was asked to lay out what became known as the Long Nine. 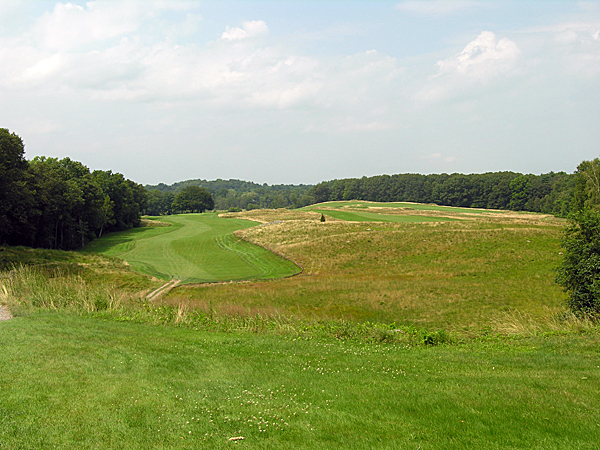 Leeds, an early figure in golf architecture, used sloping or undulating terrain for green locations. He carved bunkers and dug out areas around greens, using the cut material to create mounds which were augmented with stones from nearby walls. Other walls he left intact or created mounds on one side. 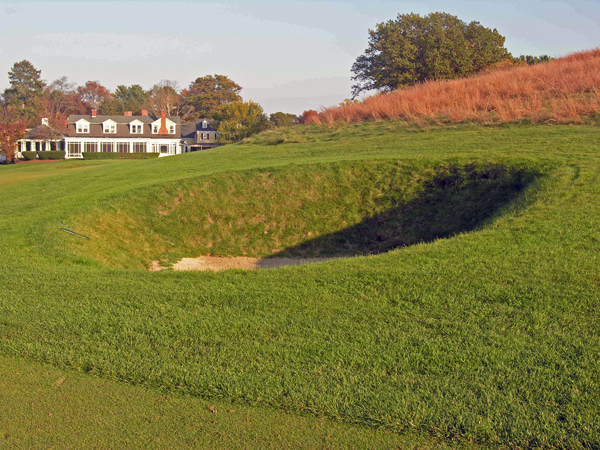 The course he developed during 1896 and 1897 played to 2,928 yards, and was considered among the most challenging in the country at that time. 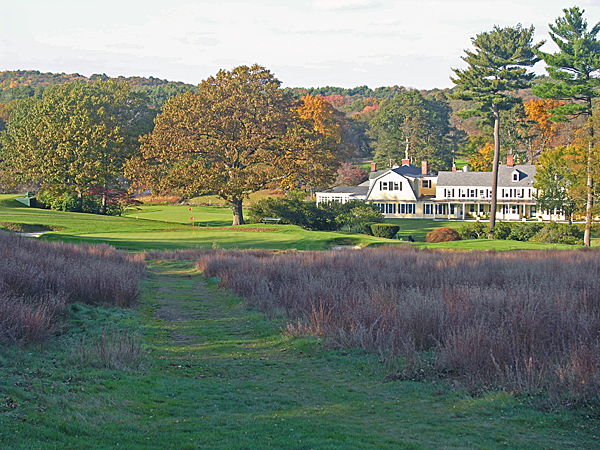 The new course was so highly regarded that Myopia hosted the 1898 U.S. Open. Leeds was largely responsible for bringing the golf course up to 18 holes, which was undertaken during 1898 and 1899. British Champions Harry Vardon and J.H. Taylor played the new course in the spring of 1900, and while Taylor set a new course record of 78, Vardon had a challenging time, stating in his autobiography My Golfing Life that while most American courses “suffered from a lack of bunkers,” Myopia was “unfortunately rather spoiled by an excess of them.” The U.S. Open was again held at Myopia in 1901, 1905 and 1908. The course remains much as it was at the turn of the last century.